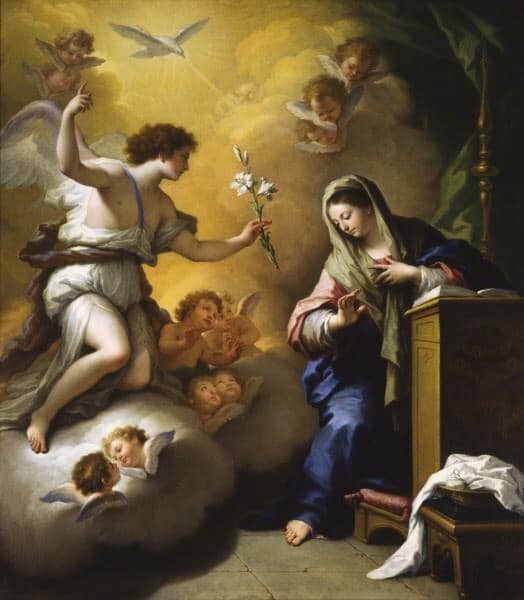 The Annunciation is the angel Gabriel’s announcement to Mary that she would bear the Son of God, Jesus Christ. It also marks her acceptance, her “Fiat,” of God’s will. This is the beginning of the Incarnation when Jesus took on His human nature. In the sixth month the angel Gabriel was sent from God to a city of Galilee named Nazareth, to a virgin betrothed to a man whose name was Joseph, of the house of David; and the virgin’s name was Mary. And he came to her and said, “Hail, full of grace, the Lord is with you!” But she was greatly troubled at the saying, and considered in her mind what sort of greeting this might be. 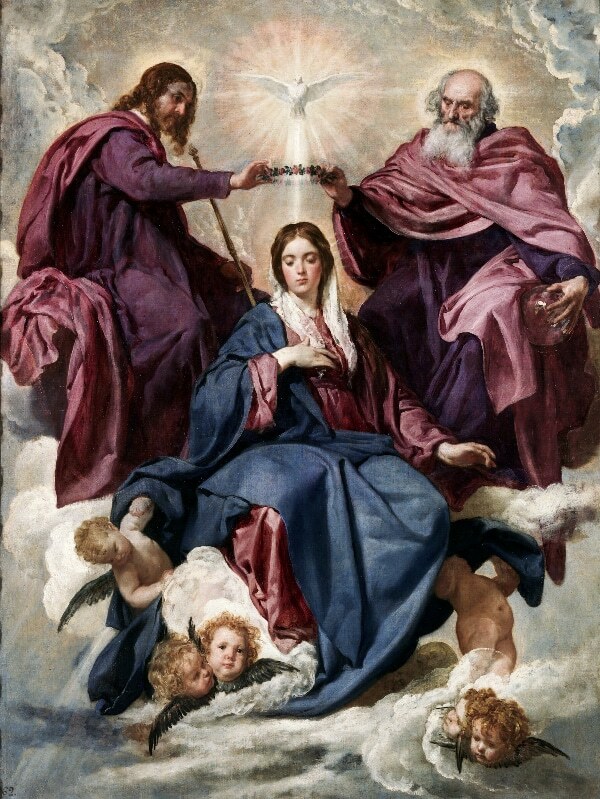 And the angel said to her, “Do not be afraid, Mary, for you have found favor with God. And behold, you will conceive in your womb and bear a son, and you shall call his name Jesus. 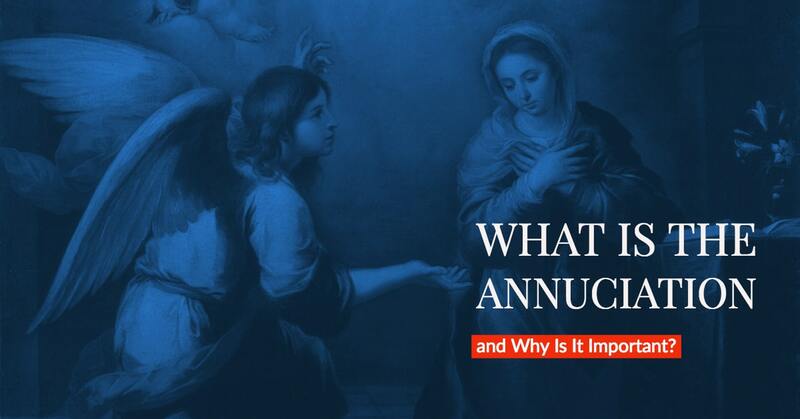 What can we learn from the Annunciation? Angels by their nature are above humans, yet the angel Gabriel shows great respect to Mary: “Hail, full of grace, the Lord is with you!” Jesus did not have to take on our nature to save us, neither did He have to cooperate with a humble Jewish woman in Nazareth. He chose both. Mary is the willing instrument of God. Without her approval to bear Jesus in her womb, there is no telling what the state of our salvation would be. God willed to entrust His plan of salvation into the hands of a woman. This is also our role whenever we are open to God’s will. God does not need us, but He lets us work with Him. What a privilege! With the Annunciation, we see the great things that God can bring when we cooperate with Him. Christ became like us in all ways except sin. God already made us in His image and likeness, but Jesus elevated humanity even further. He will continue to have a human nature for the rest of eternity. The Annunciation is the central point of human history. All of the Old Testament pointed to Christ entering the world. Everything after hinges on Christ’s Incarnation, too. We measure our holiness based on how well we imitate Jesus. This was only possible because Mary said “yes.” She agreed not only with bearing Jesus but also with raising Him and enduring countless sufferings with Him. This should fill us with joy and gratitude for both Jesus and Mary. Mary simply trusted that God had her best interests in mind. The future gave both joys and hardships, but Mary was ready to accept anything as long as it meant following what God wanted. In the Annunciation, God also gave Mary her vocation as the mother of God. This is a huge responsibility and can lead to temptation to be afraid or want to not embrace God’s calling. We need to see Mary as an example of how to embrace God’s mission in our lives, particularly in our vocation. “Do not be afraid!” said the angel Gabriel. Even with so much on the line, Mary kept her peace and contemplation. We also must continue to overcome all fears, even, when it’s difficult. God should reign in our hearts and be our support no matter what challenges (or distractions) appear. God uses the humble to bring about His glory. The fact that God cooperated with Mary to bring his salvation should still blow us away. Having the opportunity to work with God should fill us with gratitude and awe. We should embrace whatever He wants from us to save souls, starting with our own. “Let it be to me according to your word.” – Mary has a holy indifference to the results. She only desires what God desires. We also need a holy indifference to whatever life may throw our way. We need to be secure and peaceful both in times of abundance and in times of scarcity. Our peace should not rest on anything in this world. We shouldn’t even hold on to knowing what the future holds. Our lasting foundation is our relationship with God. 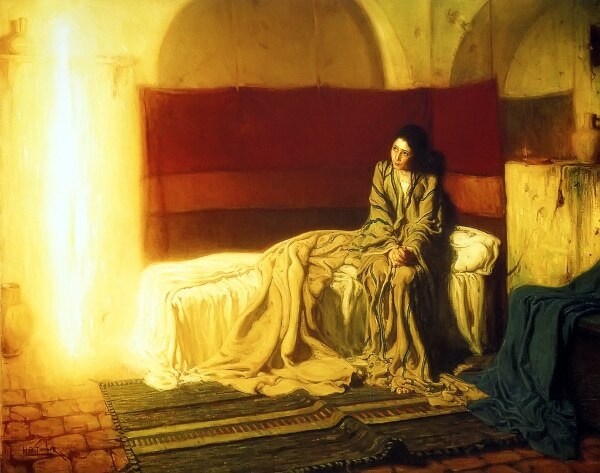 The Annunciation is something we need to constantly ponder. Good ways to meditate on this moment are to regularly pray the Angelus prayer or the joyful mysteries of the rosary. Whenever you need courage in saying “yes” to God, look to Mary as your best example.